When Roman Abramovich paid Porto over £13m for Andre Villas-Boas in the summer, this was not the season that he had in mind. Already 12 points behind Manchester City in the Premiership after only 12 matches and on the verge of missing out on qualification for the knockout stage of the Champions League, the pressure is growing on the new manager. Where Chelsea have been struggling this season is the defence. They have kept only two clean sheets in 12 league games, conceding 17 goals, including 11 at Stamford Bridge. To put this into some perspective, in Jose Mourinho’s first season at Chelsea, they conceded 15 goals all season. Scoring goals has not been such an issue though – 25 goals in 12 games mean that only the Manchester pair have scored more. 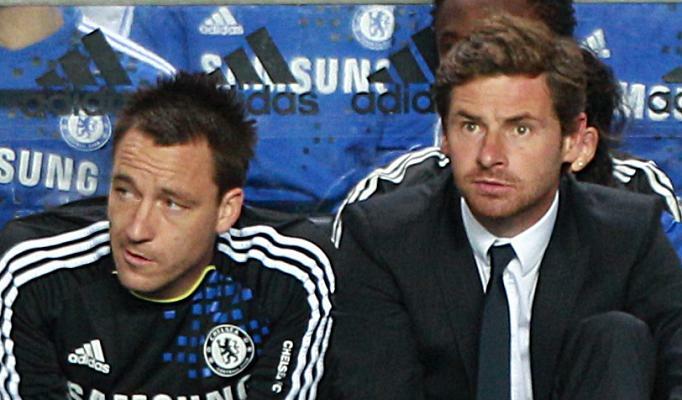 So, what does Villas-Boas need to do to improve the defence? The first thing to look at is what he has done tactically since joining the club. He has looked to bring the style that served him so well at Porto to Chelsea. At Porto, his team played a high line and pressed all over the pitch – a style that he has developed from watching Barcelona under Guardiola. At Chelsea, he has tried to achieve the same. A brief glance at the statistics would suggest as much. In the first nine games of last season, Chelsea caught their opponents offside only 15 times. In contrast, they have caught their opponents offside 39 times in their opening nine games this time around. This would clearly suggest that they are playing a much higher line and that is clear to see from watching their matches. In terms of pressing high up the pitch, you would expect Chelsea to concede fewer shots, since the opponents will spend more time further away from the Chelsea goal. Again, this theory is matched by the statistics – after nine games, Chelsea had conceded the fewest shots on target of any side in the Premiership this season. So, it would seem that Chelsea have changed their style from a deeper defence to a more pressing high attacking line. That is one of the major reasons behind their problems this season. While there is nothing wrong with the style, it needs the right players to effectively implement it. This is where Chelsea’s problems lie. John Terry has been a great servant for Chelsea over the years, but he is simply not suited to this system. Pace and anticipation has never been a key feature of his game – bravery and the aerial battle are where Terry thrives. However, when being asked to play such a high line, Chelsea are finding that attackers are getting in behind Terry far too often and he is unable to get back to them. His confidence is low, hardly helped by the racism accusations off the pitch, and this can be used to explain some of the careless errors that he has made this season as well. His partnership with David Luiz is not really suited to this system either. David Luiz has come under a lot of criticism this season for his role in Chelsea’s defensive struggles, and quite rightly so. While he has the pace to play this system, his sheer lack of discipline means that he is regularly caught out of position too high up the pitch. He loves to attack, and while this can cause problems for surprised opposition defences, it causes a similar number of problems for Chelsea themselves. The full-backs are also asked to play a big role. They are expected to provide width in attack, but also to cover well in defence as well. Ashley Cole is well-suited to this role, but it is the right-hand side where more problems emerge for Chelsea. Jose Bosingwa is very good going forward, but like Luiz, his positional sense in defence must be questioned. Alternatively, Branislav Ivanovic takes away going forward, but is much stronger defensively, although he again lacks the pace to successfully play this high line. Therefore, the key problem for Chelsea comes from a lack of pace in the defensive line. When playing deep, this becoming less of an issue, but under Villas-Boas’ new system, it is being brutally exposed. If we look at recent matches where Chelsea have struggled, opponents have had an abundance of pacy players in attack. Liverpool started with Suarez and Bellamy (although being caught in behind was not the major problem in this match), while Arsenal ripped them apart with the pace of Theo Walcott and Gervinho, who were getting behind the Chelsea defence almost at will. However, despite their relatively impressive goal tally, Chelsea also have problems going forward. 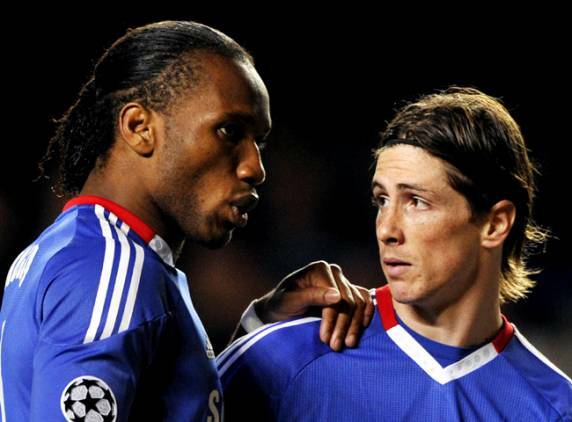 Didier Drogba is a shadow of the man that he was a couple of seasons ago. Despite his goals, he was poor last season (although he was suffering from malaria), but he has shown very little this season to suggest he could get back to anything close to his best. Fernando Torres’ struggles from last season have continued into this campaign, although he does have four goals in ten starts this time around. Clearly a highly talented player, he needs to start justifying his huge transfer fee. 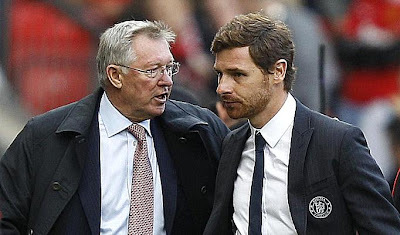 For some reason, Villas-Boas doesn’t seem to fancy him too much, and for me, it was a big shock that he was left on the bench against Liverpool. Daniel Sturridge has been Chelsea’s top striker this season, cutting in from wide positions and has bagged ten goals already this season in all competitions. 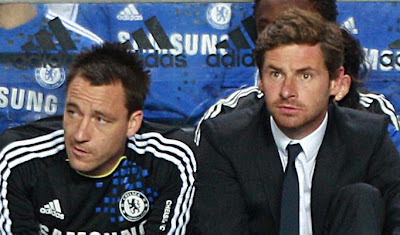 However, again Villas-Boas doesn’t seem to fancy him in the central striking role. 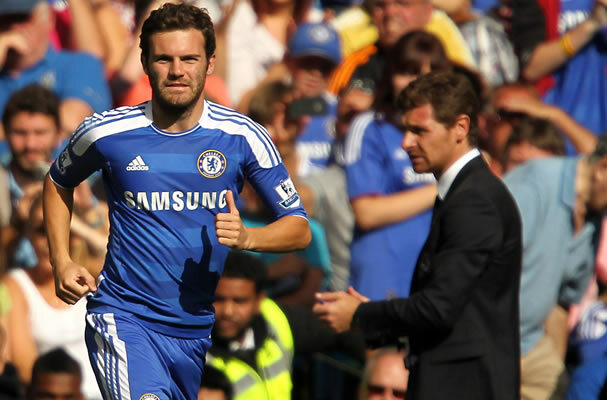 Going forward, the key for Chelsea is Juan Mata. Villas-Boas needs to find a way to get him more involved in central attacking positions. Against Liverpool, he played out on the right-wing in the first half and struggled to get involved in the match. Second-half, he was switched to a more central position and it was no coincidence that Chelsea’s best spell coincided with this change until Daglish figured out how to change his side to combat this. So, what can Villas-Boas do in the short-term to rectify the problems? Many people have questioned the likes of Terry as being too inflexible to change his style of play, although we need to look at the manager as well. Villas-Boas needs to show some flexibility as well. While it is clear that he has a specific style that he wants to play, he simply does not have the players at this moment in time to play that way, and it is costing Chelsea. It is a much-used cliché that you need to build from the back, but it is a very valid point. If we look at what Sir Alex Ferguson has done since the humiliating defeat to Manchester City, he has sacrificed some of the attacking flair that they showed early on and tightened up the defence. As a result, they kept five consecutive clean sheets, grinding out several 1-0 victories. Villas-Boas would be smart to follow a similar approach. He needs to drop the defensive line deeper until he has the players that can play the high line. Chelsea had the joint-best defensive record in the league last season and have the exact same players this time around. They have not become bad players overnight. Tightening up at the back will also help to take some of the pressure off the attacking players as well. Rather than knowing they need to score at least two or three goals to win a match, they will know that one goal could secure it for them. Critics would suggest that it is really a return to the Mourinho system that Chelsea really need. And to a certain extent, that would be true. Despite having gone through four managers since the departure of the ‘Special One’, the spine of the side is still the same. Of the team that lost to Liverpool last weekend, seven of them remain from the Mourinho era. The only players in the starting line-up that did not play under Mourinho were Ivanovic, Luiz, Ramires and Mata. Admittedly, it does suggest a certain amount of inflexibility on the part of the players, but it seems difficult to understand why successive managers have been so desperate to change the style that served Chelsea so well, but still keeping the same players. There are no problems with Villas-Boas looking to change the style, but he has to show some flexibility and look to move toward his new style at a more gradual speed. Until he has the players to play the new style, he must adapt. Whether he can do that is set to be a key determinant of how the early spell of his tenure will play out.